A year has passed since DJ Koze released his masterpiece Amygdala, which was heralded worldwide with numerous awards and prizes. Now, after Reincarnations – The Remix Chapter 2001-2009 and Music Is Okay (2000), comes the third major exhibition of DJ Koze‘s work as a remix virtuoso: Reincarnations Pt 2. Alongside the acclaimed solo albums Kosi Comes Around (2005), Wo die Rammelwolle fliegt (as Adolf Noise, 2005) and Amygdala (2013), it is primarily through his remixes that DJ Koze, like no other producer of electronic music, sets new standards again and again. His musical and storytelling skills always seem to shine a little brighter when he lets all his love and passion flow into the music of other artists. 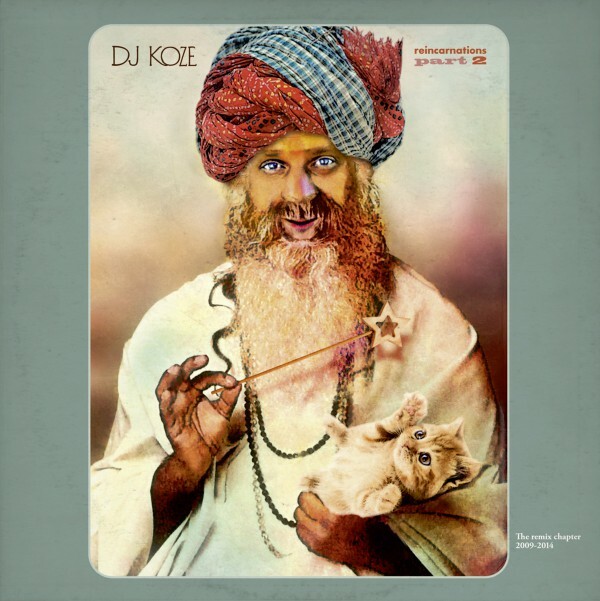 There are many songs where people first recall the DJ Koze version. Remixes to remember. For Reincarnations Pt 2, Dj Koze collected 12 of his musical rebirths in an old wicker basket, where otherwise a small cat can be found sleeping. Once more, DJ Koze refines and varies his colors and shapes, styles and materials. He prefers to reach a crescendo on the dance floor in his own special way – often the loud becomes the quiet, the heavy stands in contrast with the gentle. In the mountains, they say, the direct route always leads from summit to summit. An experienced mountaineer, DJ Koze also leads us along winding paths, up through shady valleys and high over the clouds. Reincarnations Pt 2 is that kind of journey, rambling and floating, a grand illumination. Enlightened.